Live music, bicycle tours, a fishing derby, outdoor table tennis, raptors, and tennis balls falling from the sky? Just another typical weekend in Hendricks County! Let&apos;s take a look at some activities and events around the county this weekend. The Music on the Veranda series at Chateau Thomas Winery in Plainfield begins on Friday with the band Mesa Rain. 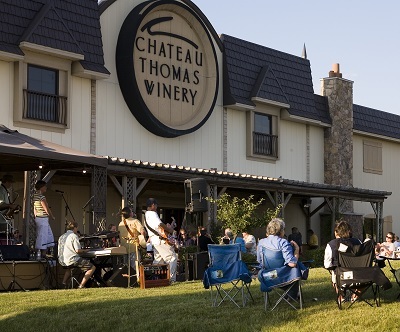 Chateau Thomas will begin outdoor grilling and bar service at 6 p.m. with the band taking the stage from 7 to 10 p.m.
Mesa Rain plays southwestern rock, "cowboy jazz" and "Austin-style honky tonk." They played at Chateau Thomas as part of last year&apos;s Music on the Veranda series and were so popular that the winery is bringing them back on Friday. Music on the Veranda will take place every Friday night through Sept. 25. Bicyclists of all experience levels will be interested in the 23rd Annual B&O Bicycle Tour that will take place on Saturday. This ride begins and ends at Williams Park in Brownsburg, and it offers four different courses: 10, 25, 45 and 62 miles in length. Registration begins at 7 a.m. on Saturday, with riders leaving between 8:30 and 9 a.m., depending on the course. Registration is available on the day of the event for $30 per adult, $25 per rider aged 13-18, and free for children ages 12 and under. The registration fee includes a refreshment stop on every course that will feature homemade cookies, treats, water and port-o-lets. It also includes a souvenir water bottle, lunch catered by Pit Stop BBQ & Grill, and live music by Mike Whitlock. 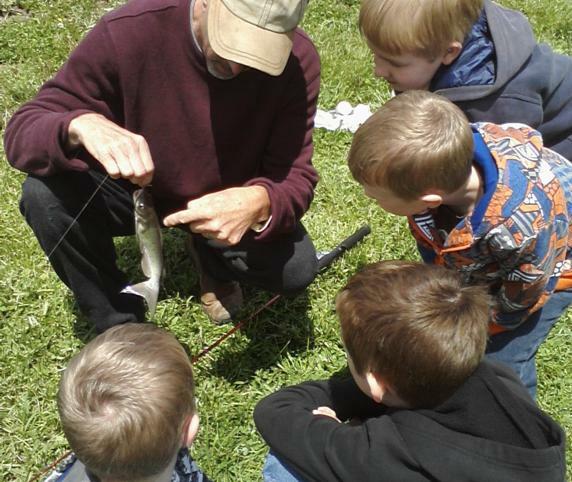 Take the kids to Sodalis Nature Park in Plainfield on Saturday from 9 a.m. to noon for a free kids&apos; fishing derby! Competition for most fish, largest fish and smallest fish caught will be held for kids ages 4-8 and 9-13, or kids of all ages can fish with their parents for fun. No registration is required, and there is no fee to participate. Dog lovers should make plans to convene on Swinford Park, near the Bark Park, in Plainfield on Saturday from 11 a.m. to 4 p.m. for the Misty Eyes 4th Annual Spring Jamboree. Bring your canine friends and enjoy live music, a kids&apos; zone, carnival games, presentations, food, prizes, adoptable animals and local vendor booths. Admission and parking is free. For $10 a piece, participants can purchase a numbered tennis ball for a chance to win a weekend getaway that includes overnight accommodations at Crown Plaza Union Station in Indianapolis, four passes to the Indianapolis Zoo, four tickets to the Children&apos;s Museum of Indianapolis, a $100 gift card and more. Only 200 tennis balls will be sold, and the Plainfield Fire Department will drop all 200 balls from up in the air at the end of the jamboree. One dog will be set loose to retrieve the lucky winning ball! All proceeds from this event benefit the Misty Eyes Animal Center in Brownsburg. Bring the whole family out to McCloud Nature Park just outside of North Salem on Saturday from 2 to 4 p.m. to learn all about native and visiting raptors. 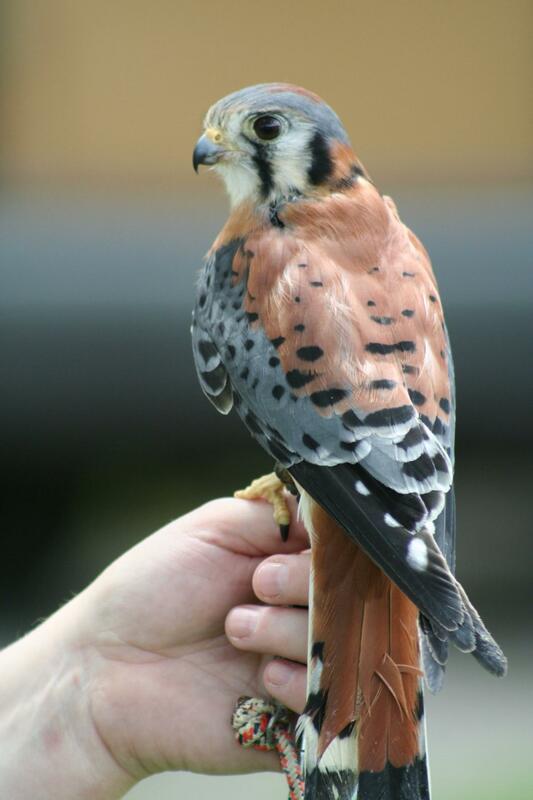 Park naturalists will educate participants on the different types of birds of prey, how they hunt, and which raptors are diurnal and nocturnal. Naturalists will then lead everyone on a hike through the park in search of raptors in their natural habitat. Still looking for something to do on Sunday? Come out to the Town Hall Park in Avon beginning at 2 p.m. for the 3rd Annual Avon Outdoor Table Tennis Tournament. This is a double-elimination tournament for participants ages 13 and up, and the winner receives a mystery $50 gift card and their name engraved on the Town of Avon&apos;s Table Tennis Plaque. Bring your own paddle or borrow one from the town. Participation is free, but preregistration is required by calling Terri Fisher at (317) 272-0948, Ext. 119 or sending an e-mail to tfisher@avongov.org. Looking for even more ideas? Check out the Visit Hendricks County Events Calendar, and enjoy your weekend in Hendricks County!